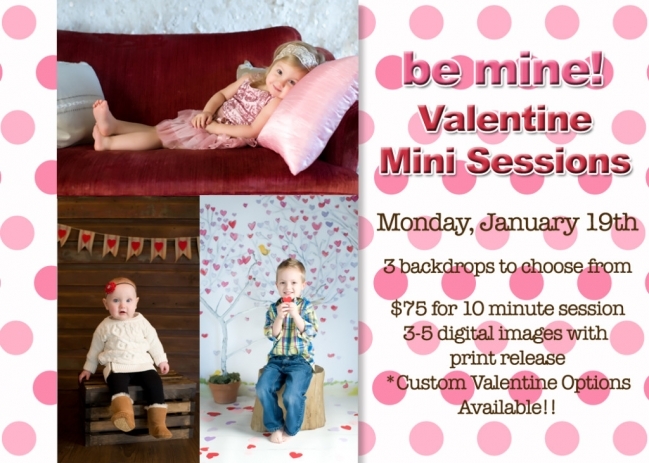 I’m so excited to finally have the space to create multiple setups for the Valentine Mini Sessions! I definitely have created something for everyone this year! We will be having the Valentine Sessions on the Martin Luther King Jr. holiday. It’s a great day to bring the kids by since they don’t have school! What better way to spend it than getting your adorable Valentine’s created! I have morning and evening sessions available to accommodate nearly everyone! You will be able to pick which setup suits your taste best!